Why Play at NetBet Casino & Vegas? In a previous life it was known as Casino770 but now it’s had a shiny new makeover and been rebranded as NetBet. It’s a multifunctional gaming site that allows players to wager on sports, sharpen their hold ’em skills at the poker tables and get a taste of the casinos of Vegas from their home via a range of table games and what we’re most interested in, online slot games. The NetBet Casino and Vegas arms offer a huge array of online slots with something to suit pretty much all tastes. Whether its space or Siberia, Bruce Lee, basketball, pirates or pandas there should be something to tickle you fancy. All told, there are over 800 titles to choose from the likes of Net Entertainment, NextGen Gaming, WMS Gaming, IGT, Playtech, Leander Games, High 5 Games and Microgaming (amongst others). 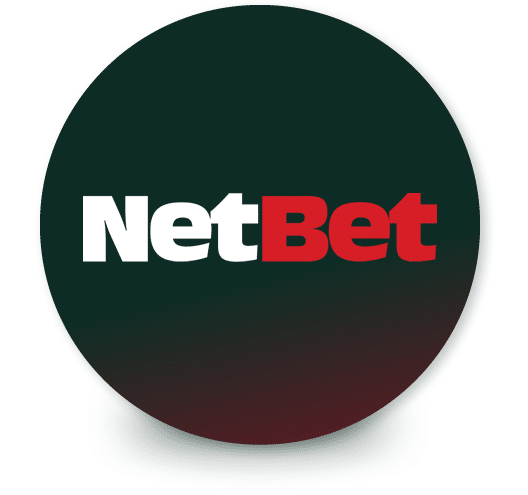 As you’ll have noticed if you’ve seen their TV adverts on Channel 5 and Sky, there are goodies on offer for new players at NetBet. Just register at NetBet Casino and you’ll receive a 100% deposit bonus up to £200. 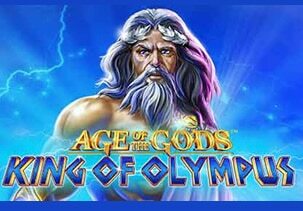 Once you deposit, you will get 25 free spins on any Net Entertainment slot game – found at NetBet Casino. You can get a further 175 NetEnt free spins on your 2nd and 3rd deposits too! Look out for regular giveaways at both NetBet Casino and NetBet Casino including free spins, cash bonuses, holidays and laptops. NetBet is a well-designed site but if there’s something leaving you stumped, your first port of call should be the help centre section. You’ll find it by clicking on the Help Centre tab in the top left corner of the screen. All the most frequent queries are covered including deposits, withdrawals and bonuses. It’s not the most detailed section of its kind we’ve seen and there’s no search facility either. If your problem is slightly out of the ordinary and you need help from the customer support teams, there are plenty of ways to get in touch. The easiest way is via the live chat which you can launch by clicking on the (surprise, surprise) Chat tab at the top of the screen. It’s open from 8am until midnight UK time every day and you should get a quick response. If you’d rather speak to someone, there’s also a phone service which manned 24 hours a day, seven days a week. It’s a UK landline number rather than a freephone number – most of these are free from mobile phones though. Emails are monitored around the clock too, as is the fax service for retro technology lovers. Send emails via the contact form which can be found on the Contact Us page. You’ll find no shortage of ways to get your NetBet account loaded with cash. Expect all the usual methods including debit and credit cards, prepay vouchers, bank transfers and of course eWallets. As of September 2016, PayPal is now available to deposit and withdraw. The minimum deposit is £20 for all methods bar Paysafecard which is £25. There are no charges levied for any deposit method and your funds will be uploaded immediately. The eWallets come out on top when it comes to fast withdrawals – expect to find your money in your Skrill or NETeller account within 1 to 2 days. It’s a little longer if withdrawing via debit or credit card. Likewise, the bank transfer option which also applies a charge of £2 to £4. I just wish they’d offer PayPal though as this is a popular method for UK players. To verify your identity, you’ll have to send a copy of some photo ID (identity card, passport or driving licence) as well as a proof of address (such as a recent utility bill) when you make your first withdrawal at the site – this is part of their UK license and standard process for all responsible and reputable operators. Overall, NetBet do things right – I wish they could speed up their payments and offer weekend cashouts. Saying that, most of the time I request a withdrawal via Skrill, it’s in my account before the day is over. There’s plenty to choose from in both NetBet Casino and NetBet Vegas. Look out for a quality range of titles from the likes of WMS Gaming, Net Entertainment, Bally, NextGen Gaming, Playtech, IGT, High 5 Games, Ash Gaming, Leander Games, Aristocrat, Microgaming and others. We will take a look at their offering split by their Casino and Vegas products. First of all is NetBet Casino – here you have games from all the above mentioned except Playtech and Ash Gaming. IGT wise, you have Siberian Storm and land based classic Cleopatra. 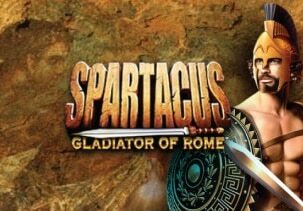 As far as WMS Gaming is concerned, you have quite a few including Montezuma, Raging Rhino, Spartacus Gladiator of Rome and Zeus III for example. They also have a dedicated Net Entertainment tab with over 70 titles available including favourites such as Starburst, Blood Suckers, Dead or Alive, Flowers, Piggy Riches and Steam Tower. They also have games from NextGen Gaming, High 5 Games, Leander Games and Microgaming – think Immortal Romance, Thunderstruck II, Sirens, Lady Robin Hood, Foxin’ Wins Again and Medusa II. At NetBet Vegas, you will find games from Playtech and Ash Gaming – you have all your favourite superhero slots (the Marvel titles) like Wolverine, The Avengers, The Incredible Hulk and Thor The Mighty Avenger. These will soon be replaced by the Age of the Gods series titles with Age of the Gods, Age of the Gods Furious 4 and Age of the Gods King of Olympus now available. 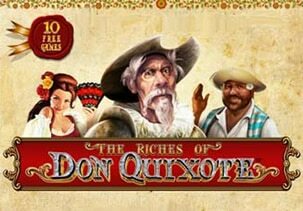 I also highly recommend games like The Riches of Don Quixote, Desert Treasure II, White King, Plenty O’ Fortune, Sultan’s Gold and Marilyn Monroe. There’s also the Batman, Age of the Gods and DC Comics series which are brilliant. Whether it’s Vegas or Casino, you’ll find pretty much every genre you could think of – there are search and A-Z listings as well as groupings by category, making it easy to find your favourites and stumble across other, similar titles you may enjoy. When it comes to NetBet, as mentioned, you have Vegas and Casino. They have a 100% bonus on your first deposit on offer, up to a maximum of £200 – you need to use the bonus code EXCLUSIVE1 when you deposit though. Once you deposit, you will get 25 free spins to use on any Net Entertainment-powered slot game. A quick word of warning here – you won’t be credited with the bonus if you make your first deposit using the Skrill or NETeller eWallets. It’s best you deposit using your debit or credit card! Now, you are also rewarded for your 2nd and 3rd deposits – using the codes EXCLUSIVE2 and EXCLUSIVE3, you will get 75 and 100 free spins respectively. 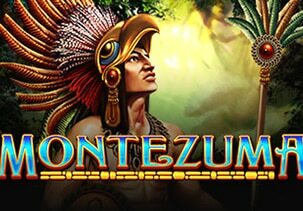 That’s a total of 200 free spins to use on any NetEnt title. By the way, this offer is exclusively for BestSlots.co.uk readers! There are regular giveaways and promotions at both NetBet Casino and NetBet Vegas – these include free/bonus spins and reload bonuses. Additionally, every week you make a deposit, you will be entered into a raffle to win a share of 5,000 free spins – the draw takes place every single Wednesday and can give you up to 500 free spins. Just like NetBet Vegas, the Casino has regular giveaways including holidays, laptops, free spins and special mobile casino offers.